Speakers' Name: LIU, CL, Sc. 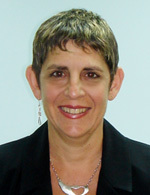 D.
Doreet Oren (doreet.oren at sandisk.com) is Director of Product Marketing for SanDisk SSD products. Oren is the official SSD spokesperson for SanDisk, and is responsible for delivering new product announcements and communicating SanDisk vision to the media. Oren often lectures and gives training to both external and internal audience at a variety of conferences. Oren has over 15 years of industry experience, and has held management positions in R&D, product management and marketing for international high-tech companies. Oren has published articles in international journals, including Component Times, New Electronics and Embedded Computing. She has spoken at industry conferences such as The 6th Semiconductor Memory Symposium in Japan 2008, Compuforum in Taiwan 2007, and Electronica in Germay 2006. Oren received a BSc in Computer Science from George Washington University. 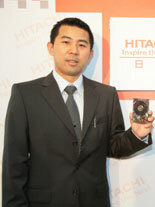 Steven Liu is General Manger in Taiwan and Shanghai region for Hitachi Global Storage Technologies. 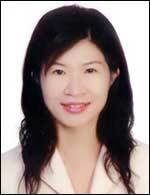 In this role, Mr. Liu is mainly responsible for driving hard disk drive business growth in Taiwan and Shanghai. He also manages the client service and support and other business regarding to OEMs, ODMs, consumer electronics application and distributors. 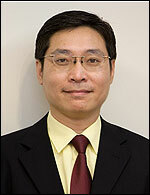 Mr. Liu has accumulated 8-year experience in the storage industry. He joined IBM as sales in the storage technology department and successfully increased the revenue of IBM’s hard disk drive business. When Hitachi Global Storage Technologies was founded in 2003, a result of the strategic combination of IBM and Hitachi’s storage technology businesses, he transferred to Hitachi GST and was appointed as General Manager in Shanghai region in July 2004. Mr. Liu excels at business management and marketing. He assumed a key role at Hitachi GST as General Manager in Taiwan and Shanghai region in 2006, responsible for Hitachi GST’s hard disk drive business growth in both regions. Prior to his successful career at IBM and Hitachi GST, he worked for Wafer Tech as Process Integrated Engineer, accumulating experience related to process management. Steven Liu holds a Master of Sciences degree in Electrical Engineering from University of Southern California and a Bachelor of Sciences degreen in Eleotrophysics from National Chiao Tung University. Topic: NAND Flash: Market Turnaround ?!! Wayne is a Research director of Memory Industry Research Division at DRAMeXchange, where he supervises all analyses and predictions of the flash memory market. To be more specific, Wayne provides professional view, in-depth market research, and analysis on NAND flash trends and opportunities, such as price forecasts, market share reports, and market trends. 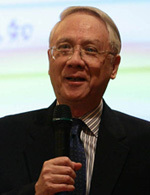 Prior to DRAMeXchange, Wayne served as a research director in the financial sector where he advised both domestic and international investors on electronic technology trends. Wayne has an M.B.A. from the National Taiwan University. 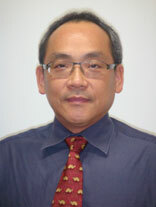 Mr Tim Liu graduated from Cheng Kung University Department of Electrical Engineering in 1985. In 1989, he received his masters in State University of New York at Stony Brook and then joined LSI Logic silicon Valley R & D to work in the electronic circuit. In 1994, he joined Faraday Technology, and the venture partners successfully developed the first set of Memory Compilers in Taiwan. This effectively increased the IC developments and shortened development time of ASIC. In 2002, Tim served as general manager of JMicron Technology Corp. because he saw that high-speed serial interface will be an internal and external storage for personal computer. At present, JMicron Technology Corp. is the largest chip supplier for external hard drive box, and has also developed PCIe to SATA, SATA SSD, as well as H / W RAID controller. JMicron Technology Corp. is part of the UMC Group as the IC design company with MediaTek Chairman Tsai Ming-mediated post as Chairman.